This article was prepared as part of a project (FAME) that received funding from the European Union’s Horizon 2020 Research & Innovation Programme under Grant Agreement No.641650. Summary: Essential to sustaining manufacturing in Europe is the necessity to maintain a secure supply of raw materials both in the short and long term, including mineral concentrates derived from the mining industry and particularly those deemed as being at risk in terms of security of supply (so called Critical Raw Materials (CRM’s)1) and those required for emerging technologies. Today, the European manufacturing industry relies heavily on imports from outside the EU, even though there are significant resources in its own backyard. This is principally because metals mined outside the EU can be extracted relatively inexpensively from projects that offer less technological and social-environmental challenges. This is the essence of FAME, to tap into these European resources by developing new mobile processing technologies and methodologies that are sustainable and social-environmental friendly. As part of the FAME Project, specific mining projects within Europe have been identified and WP2 characterised the geology and mineralisation of these deposits. Representative samples have been collected for metallurgical research that can be undertaken. This R&I effort is to develop processing technologies, methodologies and flow­sheets that can facilitate the economic extraction of targeted metals so that they can be used to supplement the European manufacturing supply chain. 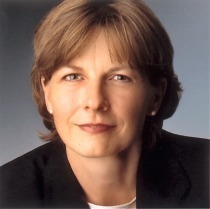 Mitteilung der Kommission an das Europäische Parlament, den Rat, den Europäischen Wirtschafts- und Sozialausschuss und den Ausschuss der Regionen zu den Listen für 2017 über kritische Rohstoffe für die EU vom 13.09.17. Communication from the Commission to the European Parliament, The Council, The European Economic and Social Committee and the Committee of the Regions on the 2017 lists of Critical Raw Materials for the EU, 13.09.17. The demand for metals will inevitably increase with an ever-increasing world population (> 9 billion by the mid-century) and from new consumers in emerging economies. In addition, development of new technologies will continue to place demand for certain mineral concentrates. European manufacturers rely on acquiring a secure and continued supply of mineral concentrates from the mining industry, and currently the majority of these are sourced from outside the European Union (EU). As an example, only a small proportion of metals produced globally are mined in the EU, with only Austria, Finland, Greece, Ireland, Poland, Portugal and Sweden having metal mining industries that contribute to more than 1 % of a particular metallic mineral. There is the opportunity to increase mining activities within Europe by extracting valuable minerals from new and former projects that were previously considered un-economic due to technological and/or enviro-social challenges. Some of the resources found in Europe are also too small to warrant the capital investment required to develop a mine. The investment required to build a processing facility accounts for a significant proportion of the overall capital investment to develop a mining project, therefore, reducing process plant capital costs make European projects more economic. The development of flexible, modular and mobile processing equipment that uses existing and innovative technologies is considered as an important way forward in unlocking some of Europe’s valuable resources. 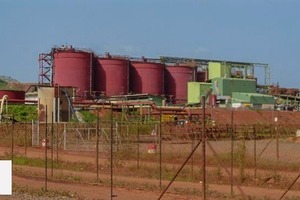 It is envisaged that a mobile plant could be transported to different ore bodies but remain flexible enough to be adapted to process ores representing similar styles of mineralisation. 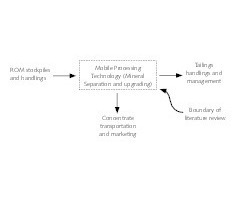 The concept of mobile processing technology is not new and has been commercially used by world renowned manufacturers such as Metso since the 1970’s. However, the use of this technology is scant with only a handful of operations worldwide. The opportunity exists to further develop and tailor the design of this technology so that it be can engineered specifically for European projects. This following document is a literature review pertaining to the current status of mobile mineral processing equipment that is used worldwide. An initial version of this document was created in 2015 and it has been updated periodically since, with this representing Version 6.0. 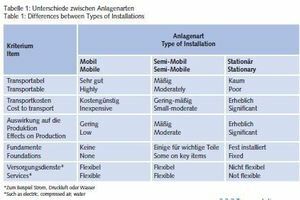 Included is a general description of typical processing equipment with focus given on European equipment suppliers and their corresponding mobile processing equipment. Equipment and process circuits specific to mobile processing is detailed and draws upon worldwide practices. The objective of this document is to pull experience and ideas that are currently used in the mineral industry, in order to aid the development and design of processes that encompasses the objectives of FAME and to identify any gaps in the current portfolio of mobile equipment available to mining companies. 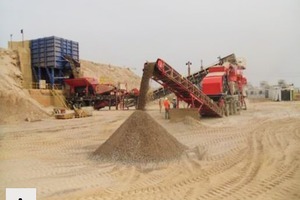 Crushing and grinding modular mobile plants are identified as being generally suitable for most European deposits and therefore the flexibility to move these from site to site is not restricted by ore characteristics (if engineered correctly). 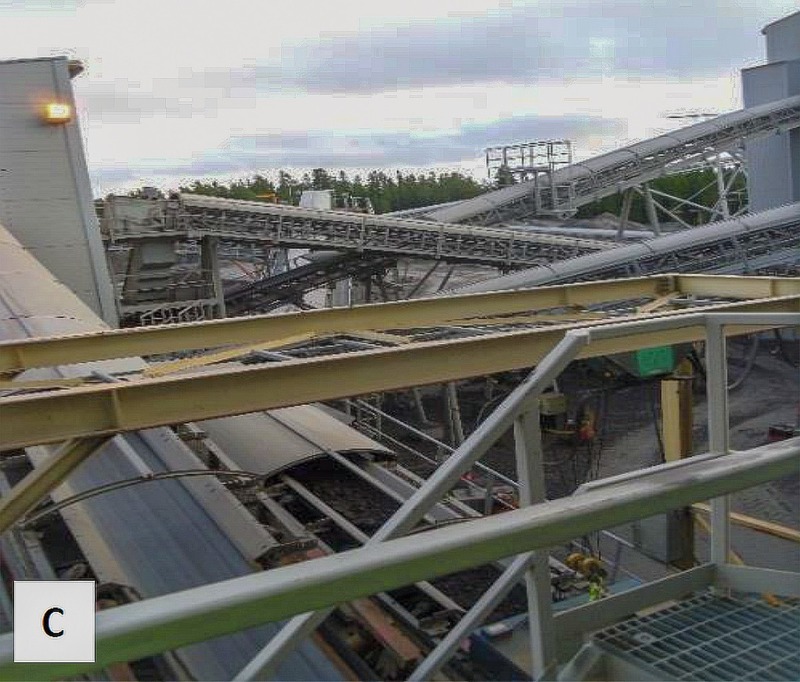 Beneficiation circuits on the other hand, are considerably less flexible in terms of being able to process different ore types and therefore separate circuits (with specialised equipment) are required depending on the flowsheet needed. 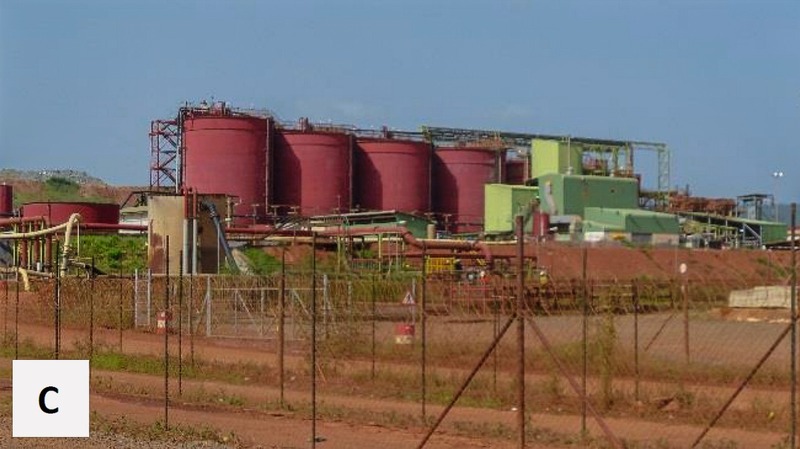 Therefore, Wardell Armstrong International Ltd. (WAI) currently envisages mobile plants being modular so that unit plant modules can be selected and fitted together to make a complimentary circuit that is customised for the given ore type being treated. This concept is illustrated in Figure 1. The practicality of relocating a mobile plant from one site to another is not envisaged as being technically challenging. However, it must be shown that the mobile circuit can be adapted to treat the new ore type. Therefore, metallurgical testing is initially required to establish the processability of the ore and to develop a suitable flowsheet accordingly. 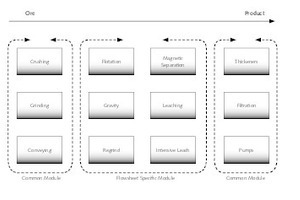 The flowsheet required will therefore dictate which plant modules are required and how they must be operated. Addition of new equipment items in order to fulfil the desired circuit performance (as highlighted by metallurgical testing and economic analysis). For instance, this may include the additional of a gravity circuit ahead of a flotation circuit. 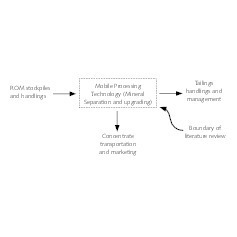 The concept of mobile processing is not new having been developed commercially by Metso in the 1970’s. However, the novel aspect pertaining to FAME is the concept of modular equipment that can be selected, transported and easily assembled. Achieving this will fulfil FAME’s objectives for the flexibility and relative ease to recovery metals, which are currently uneconomic to mine, throughout selected European sites. This literature review focuses on mineral processing technology that is specific to the separation of minerals for the purpose of acquiring marketable products. As such, the review does not include items outside of this sphere, such as the handling and management of tailings or marketability of products. 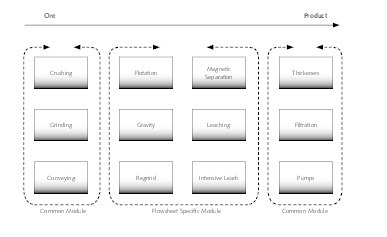 The boundaries of the literature review are summarised in Figure 2. Although not intended as a comprehensive description, these generalised unit areas of mineral processing are now summarised in sections 2.1 to 2.4. Comminution refers to the breakage of mineralised rocks for the purpose of liberating wanted minerals from unwanted minerals (gangue). As this is an energy intensive area of processing, successful comminution is achieved when sufficient liberation of the wanted minerals has been achieved (without over crushing or over grinding the ore) to achieve the best opportunity to facilitate mineral separation for the recovery of the desired economic mineral(s). The first stage of comminution is often achieved using crushers. 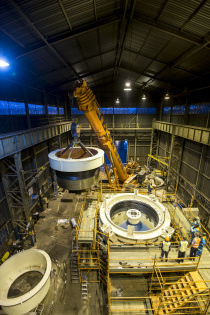 Crushers are relatively robust pieces of equipment that reduce the mined ore to a size that can be accepted by the next stage of the comminution process (grinding). 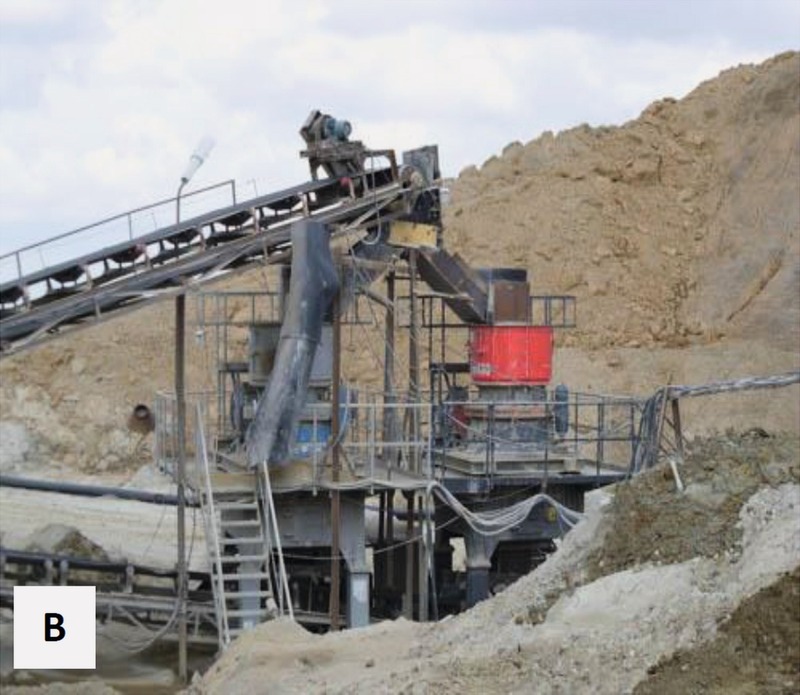 There are a variety of crushers, their application is project specific but they all share the common goal of reducing the mined ore by using the minimal amount of energy. 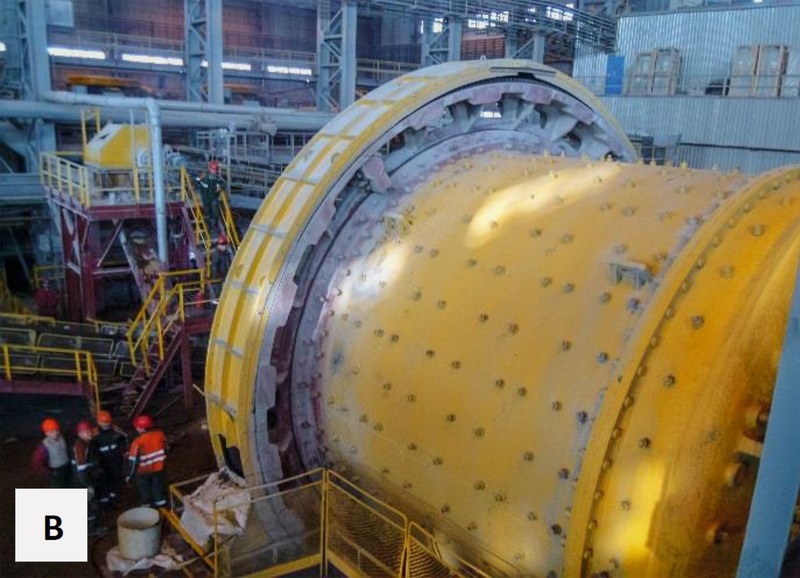 Once the ore has been crushed it is often processed further by grinding technologies. Grinding uses different mechanisms of comminution to impart further breakage on to the ore particles and it is often a wet process. At this stage of comminution, the crushed material is reduced in size to achieve the desired liberation size for effective mineral separation. 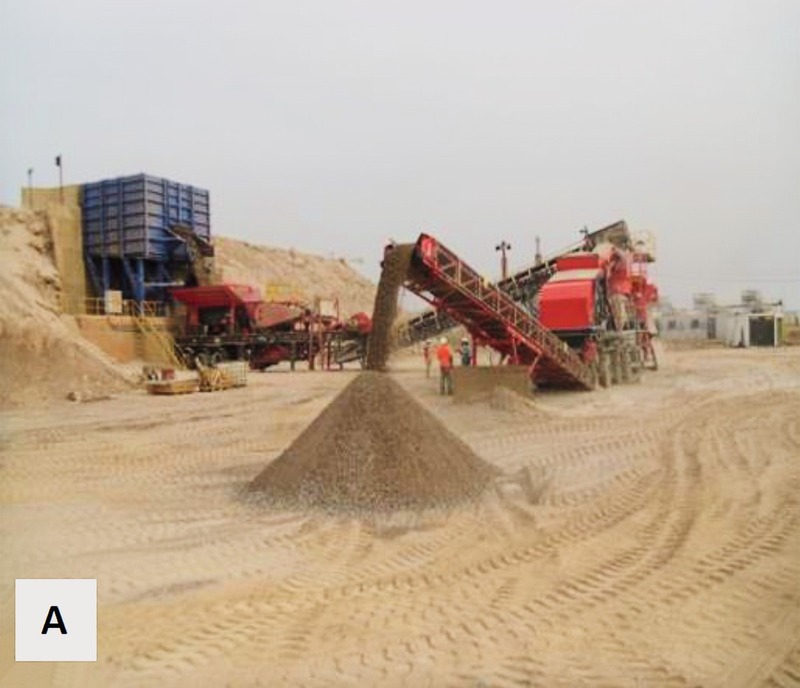 Sometimes, however, a further grinding stage (regrind) may be undertaken on certain streams during the mineral separation stage in order to acquire desired process objectives. The configuration of the comminution circuit and the equipment types used can vary significantly from project to project. The technology is used in most mining projects with commodities ranging from iron ore, base, precious metals and for industrial minerals. There are principally three methods of recovering the liberated or “near” liberated minerals, namely, physical separation, hydro and pyro metallurgical methods. These methods can be used in isolation or in combination in order to obtain a processing route that achieves the process objectives. These methods of recovery are now summarised in the following text. 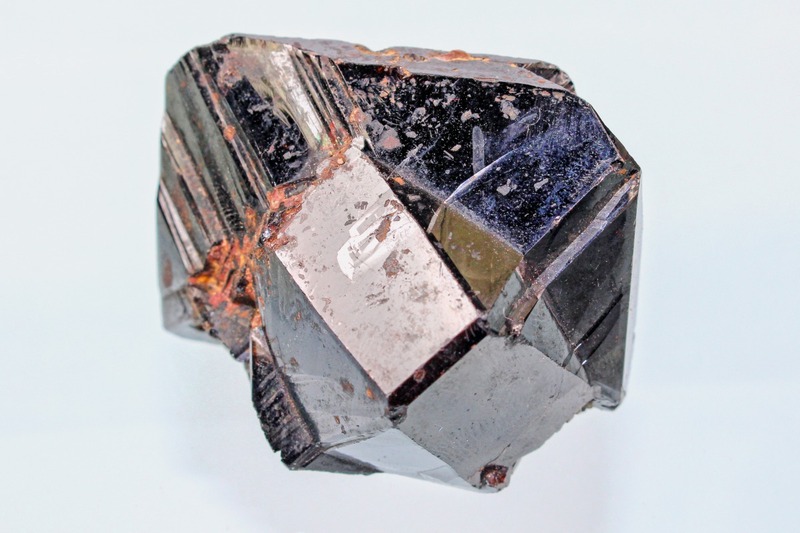 As its name suggests, physical separation exploits the physical differences of the minerals to be separated. 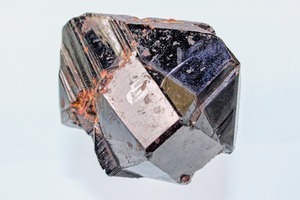 As an example, differences in specific gravity can be utilised to achieve an effective separation between two minerals. Differences in electrostatic charge or surface chemistries can also be utilised to achieve an effective separation. The products generated from these processing routes are typically mineral concentrates. Mineral concentrates may require further upgrading using hydrometallurgical or pyrometallurgical processes. It should be noted that hydrometallurgical and particularly pyrometallurgical processes can be relatively expensive to build and operate. Therefore, pre-concentration using physical separation methods is advantageous if a significant proportion of the ore can be rejected ahead of using expensive treatment methods. This can reduce capital and operating costs and make mining projects more amenable to mobile processing where relatively high tonnage mining is required from an economic standpoint. Hydrometallurgical processes involve the use of a chemicals to recover to the wanted metal into an aqueous phase. The metal is then extracted from the aqueous phase to form a metal alloy or a precipitate, typically a hydroxide. In pyrometallurgical routes the ore or mineral product is melted to form immiscible layers containing the wanted metal or matter and unwanted material (slag). 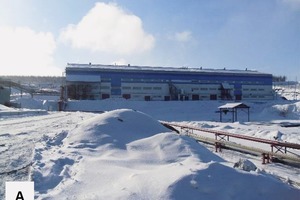 Reagents (fluxes) are added to the smelting process to aid the separation process by altering, for example, the viscosity and temperature of the melt. Both the physical separation and hydrometallurgical processing routes invariably use water as a medium in the recovery process which allows the products to be transported with relative ease. At particular points within the processing circuit, this water needs to be removed. This is often undertaken on the waste streams (to recover water) and concentrates (to reduce transportation costs and to convert it in to a form suitable for transportation). There are a variety of technologies available and these are typically undertaken using thickeners and filters. There is a wide selection of technology used to transport materials (ore, concentrates, wastes) between processing equipment. The handling equipment chosen depends on an array of conditions but in order to generalise, conveyors are used to transport dry materials (ore, filtered concentrates) and slurry pumps for ground minerals suspended in water or chemicals. A mobile plant should be tracked or wheeled and ideally able to travel under its own power. Semi-mobile plants are often described as “portable” by equipment manufacturers, these are typically modular and can be trucked around on a low-bed truck or in containers mounted on the truck. Sometimes containers that can be stacked together containing heavy equipment needing a crane are called “portable” but this is not mobile in the true sense of the word. 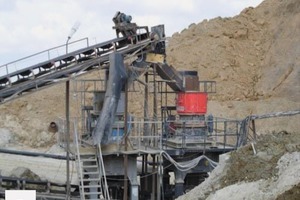 Crushing circuits are supplied as mobile, semi-mobile or stationary plant. 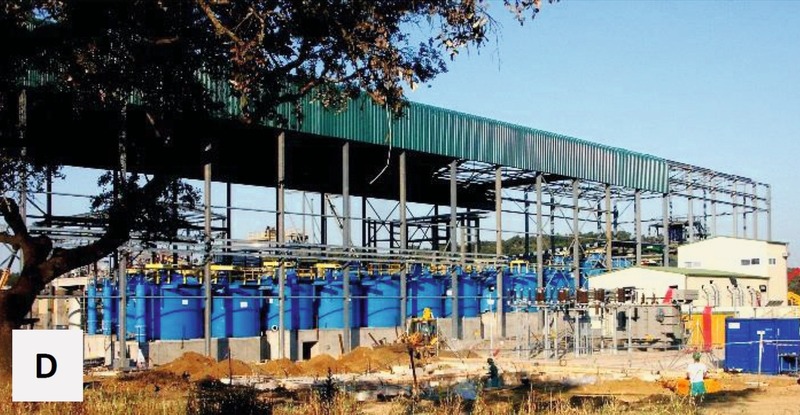 Grinding, beneficiation and dewatering circuits are inherently fixed installations and housed in a building (referred to as the “Plant” or “Mill”). 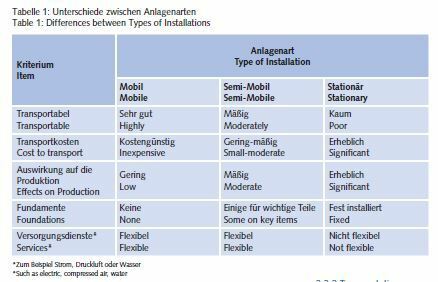 The differences between the types of installations is also summarised in Table 1. Processing plants are typically fixed installations and are rarely mobile. 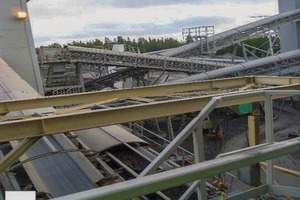 An exception to this are crusher circuits where it is sometimes necessary to have the option to relocate the circuit in order to reduce haulage distances. Another exception, is the installation of pilot plants that operate at site, which may have permanent foundations, but where the equipment within the plant can be unbolted from the floor and relocated. 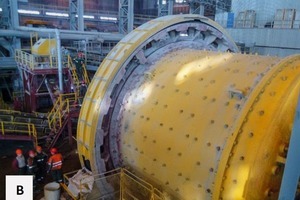 Fixed installation remains at the mine until the mine closes or a change in ore type means that an entirely new circuit is required (even then former equipment can be incorporated in to the new processing circuit). 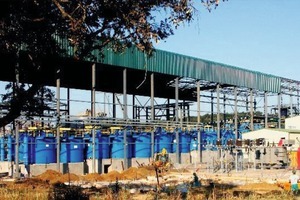 Installations can last + 25 yrs, although older circuits may have inevitably seen various circuit changes throughout their lifetime with newer technologies being installed.Examples of stationary processing plants are shown in Figures 3 a- d.
Mining projects generally involve high capital investments and therefore they must generate a quick return to the investor. 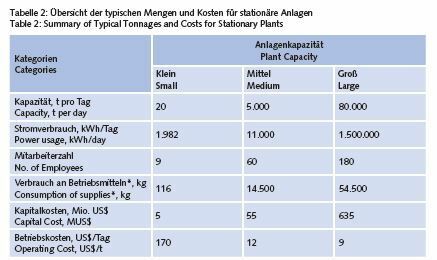 High throughput operations are often required to reduce unit operating costs and this in-turn has led to the installation of relatively large plants that inherently are stationary installations. 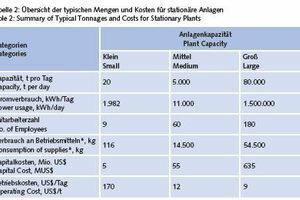 As way of an example, typical throughputs and costs for small, medium and large crushing-grinding-flotation circuits are shown in Table 2. 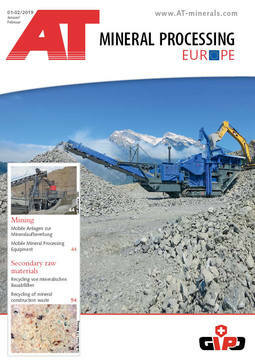 An example of mobile, semi-mobile and fixed crushing circuit installations is shown in Firgures 4 a – c.
Part 2 and 3 will be pubished in the upcoming issues of AT MINERAL PROCESSING. 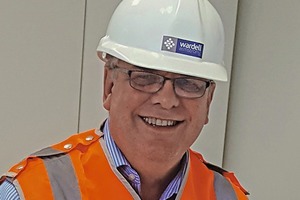 Chris Broadbent had an academic (universities of Aston and Birmingham) and industrial (Rio Tinto Zinc and Shell/Billiton) research background before joining Wardell Armstrong LLP as a Principal Engineer almost 25 years ago. 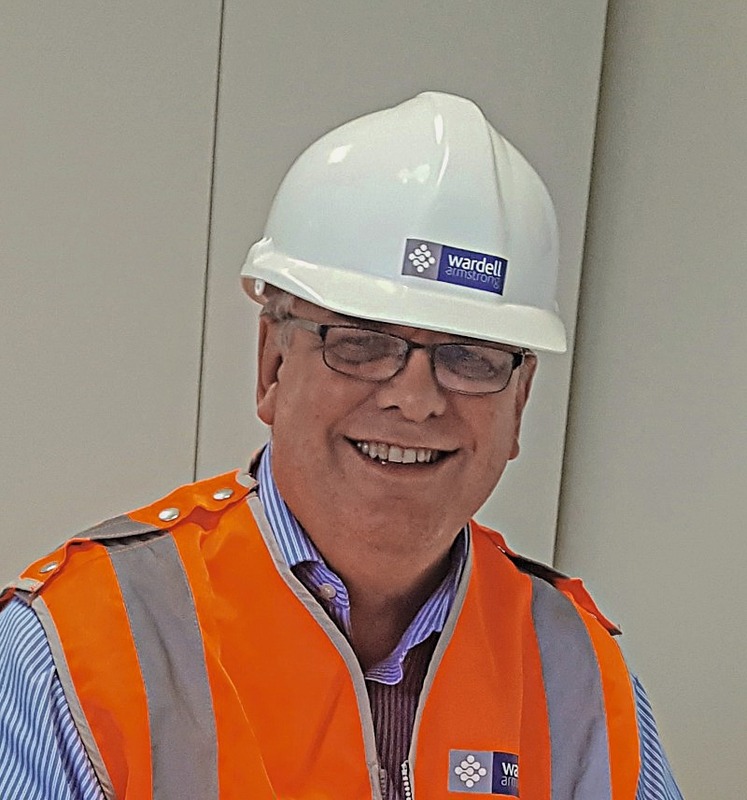 He has managed numerous mining and metallurgical projects throughout the World and he is currently Research Director based at the London offices of Wardell Armstrong International Ltd. FAME was one of the initial batch of Horizon 2020 Research & Innovation Projects and since January 2015 he as been FAME Project Coordinator. 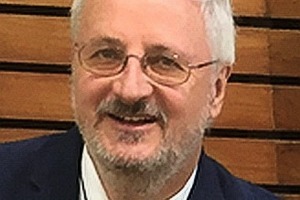 Reimar Seltmann started his career in Germany (PhD Bergakademie Freiberg/Saxony; research positions at Central Institute for the Physics of the Earth / GFZ Potsdam and Geological Survey of Canada) before joining in 1999 the Natural History Museum London (NHM). 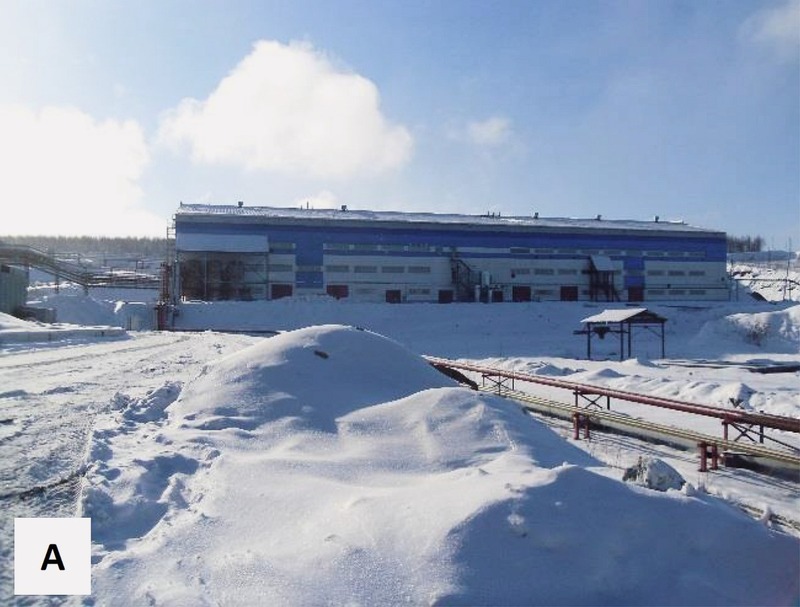 He founded in 2002 CERCAMS (Centre for Russian and Central EurAsian Mineral Studies) which he leads as bridge between applied research and mining consulting offered by NHM Mining Sector. 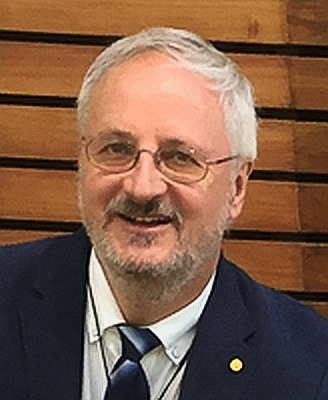 Reimar Seltmann has led numerous international network projects on mineral deposit studies and served as coordinator of a commissioned research project for a consortium of ten mining companies in Central Asia. He is a work package leader and steering committee member of FAME. 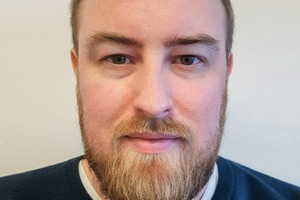 James Buchannan graduated with a Masters degree in Chemical Engineering from the University of Edinburgh, and has since become a Chartered Engineer with the Engineering Council. 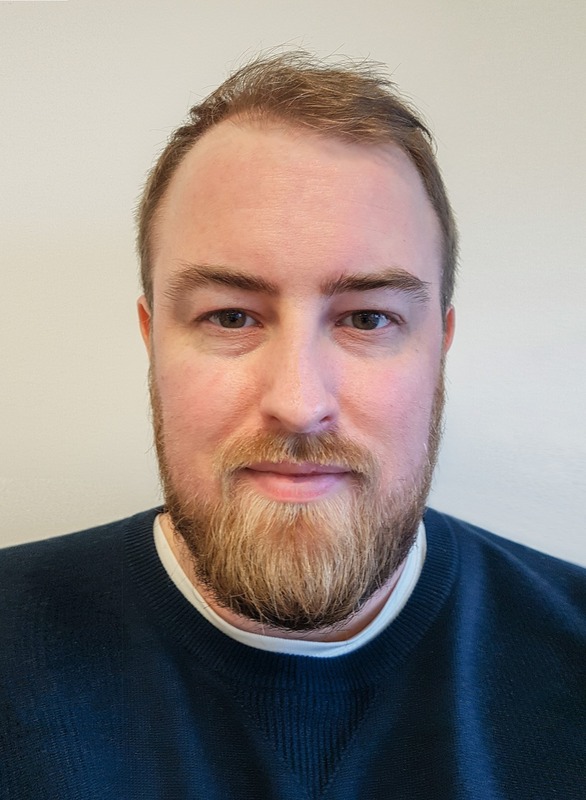 He has spent the majority of the last decade providing engineering consultancy services to the minerals industry, from conceptual design work through to on-site process support and installation.